Living Sq. Ft. : 2126 s.f. Total Sq. Ft. : 3247 s.f. 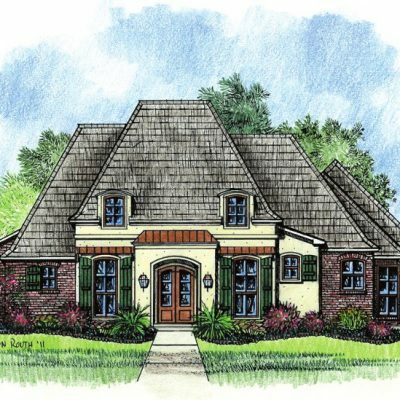 The Welsh plan is a country french styled house plan with a stucco front and brick extensions. 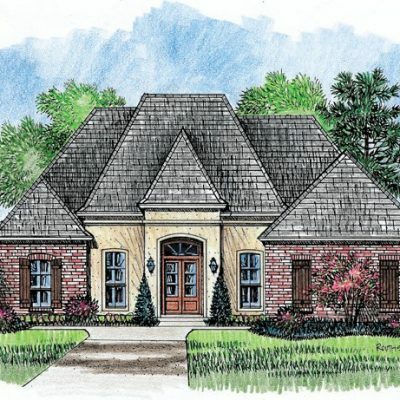 When you enter into this house plan you will have the large family room at 12 o’clock and the dining room at your 9. The family room is at the center of the house with a fireplace and accompanying built-in. Your kitchen has an angled island that overlooks the family room and breakfast area. 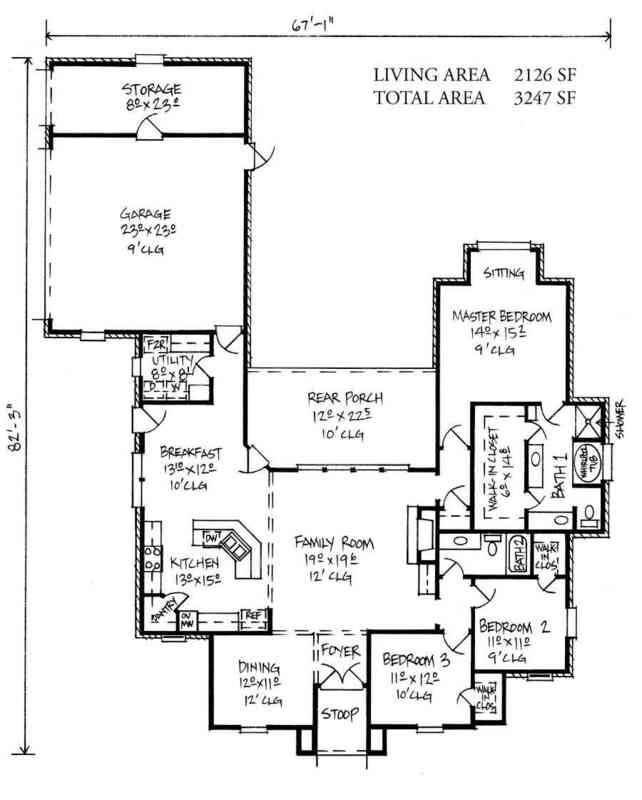 The bedrooms are on the right hand side of this home with two at the front that share a bath, and each have a walk in closet, while the master is at the back of the house. 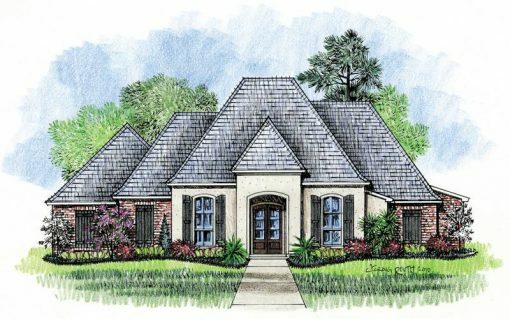 The master has a great layout with a quaint sitting area, a master bath with his and her vanities, and a big walk in. 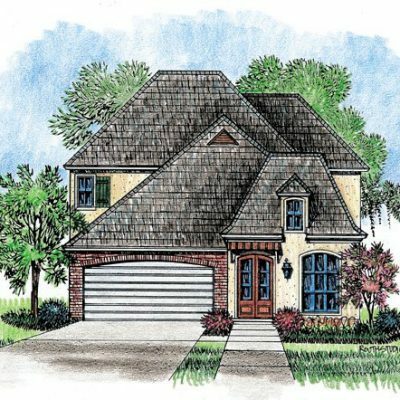 Your 2 car garage has an attached storage room and is designed to be entered from the side. Rounding out this plan is a big, covered rear porch for you to enjoy the afternoon breeze.